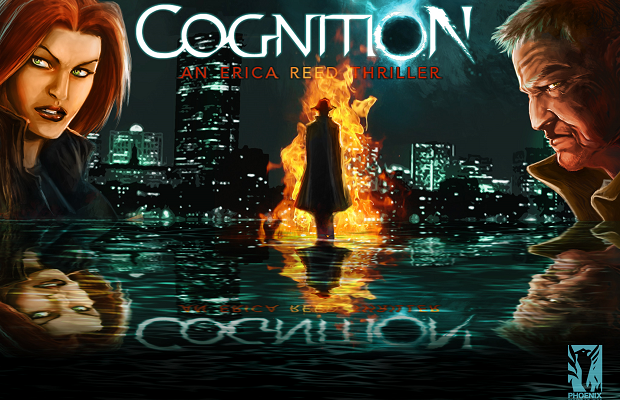 The Cognition episodic series continues down its dark path with the release of the fourth and final chapter, The Cain Killer. It’s been almost a year since the series first broke out, and after the release of three episodes, there is only one question that really needs asking. Is The Cain Killer a satisfying conclusion? The quick answer is yes, but many of the problems that have plagued the Cognition series from day one still hold the series back from true greatness. Events in the final episode bring the overarching murder mystery to a close, finally leading to a face-to-face confrontation with the Cain Killer himself. After the dramatic finale of episode three, the story opens hot, with Reed and her associates closer than ever to his capture. For fear of the ever dreaded spoilers, I won’t delve into any details, but I will reveal that the ending is satisfying, leaving no questions unanswered. The story itself takes control in this episode, pulling the player along from locale to locale at a quicker pace than ever before. But that’s not the only difference. Continuing the series’ penchant for experimentation, the gameplay has evolved once again. Similar trappings from “The Oracle” find their way into “The Cain Killer,” with sections of the game allowing players to switch between two different psychics, both with their own unique abilities. But this time around a reputation-style mechanic is introduced, reminiscent of that found in Telltale’s The Walking Dead. While conversing with various characters, their opinion will change depending on how you deal with them. Unlike The Walking Dead, however, this is clearly represented by a portrait which fills and empties depending on that person’s disposition toward you. “The Cain Killer” then uses this system to change up how the overall plot concludes. Attempts at empathy can be rewarded, but at the same time, trust can be misplaced. This experimentation is probably my favorite aspect of the Cognition series as a whole. Phoenix Online has used the episodic format to its advantage, always introducing a new angle to the investigations and puzzle solving. This carries over to the structure of the plot as well, as story is narrowed moreso than any previous episode. Major plot points and puzzles are thrown at you, rapid fire, with very little down time in between. As the case comes to a close, investigation plays a much smaller role in the game overall. You’re often tossed into a room with a slew of elaborate devices and traps, and then it’s one brain teaser after another. Some sections are masterfully done, blending together multiple confounding puzzles, all with direct ties to the previous episodes. “The Cain Killer” may be the most linear episode of the bunch, but it’s a fitting conclusion. It reminds you of the atrocities that have occurred throughout the series, linking them all together while leading into a climactic finale. Unfortunately, many of the problems from the previous episodes pop up once again. Fail states are more prevalent than before, and can interrupt an otherwise engaging scene. Many tense encounters will lead down dialogue trees with a single “correct” answer needed to progress. The context clues provided often don’t fully explain why one option is more viable than another, leading to multiple life-threatening events being solved by pure trial-and-error. But these never stand in your way for too long, as a very forgiving checkpoint system usually drops you back in the action directly before the regrettable decision. On top of these issues, you may encounter the usual roundup of technical hiccups. I won’t dwell too long on this, as I’ve touched on it in my other reviews, but “The Cain Killer” still has the occasional wonky walk animation or unnaturally twisted elbow, which hurt the more emotionally driven scenes. They’re never permanent, however, and the game rights itself rather quickly when this happens. Outside of the normal faults, the writing isn’t always on point, with certain scenes focusing a bit too much on the psychic powers of Reed, their origins, causes, etc. It can feel a bit cheesy at times, and I’ve always thought the Cognition series thrives when it sits those aspects aside, focusing instead on the game’s interpersonal relationships. None of this, however, is meant to condemn “The Cain Killer.” If you’ve made it this far in the series, there’s absolutely no reason to skip the final chapter. The fourth and final episode ties the entire story up into a neat little package, providing closure for all characters involved. Cognition may have its problems, but Phoenix Online has proven it’s not afraid of experimentation or a dark story, both of which count for a lot in my book.